You may have a lot on your plate at work, but that doesn’t mean you have to carry the stress it causes on your shoulders. Your health is the top priority, and you don’t have to let stress rule your life and diminish its quality. It’s normal to feel busy at work with deadlines looming and monstrous projects to complete. Whatever you have going on in your work life, it’s essential that you handle stress effectively so that it doesn’t impede on your mental, emotional, and physical health. Stress is known to shorten your life span and age you faster. A study by researchers at King College London found that continuous strains of negative thoughts restrict the brain’s ability to think, reason, and create memories. The important thing is to manage stress healthily. 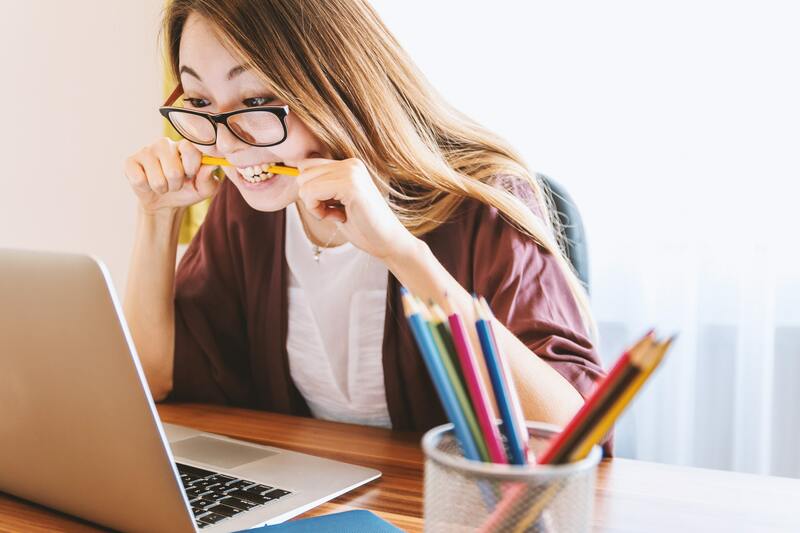 Whether you work from home or in an office, everyone needs to learn how to deal with a huge pile of work that can cause stress because it can lead to harm in other areas of life, including relationships with others and how we view ourselves. You may feel like a failure if you aren’t able to manage your workload, but this simply means that you need to come up with a strategy that suits your lifestyle. Here are a few ways you can manage stress caused by a heavy workload. Create a content calendar with all the tasks you need to finish, along with deadlines and notes to keep in mind. Having a composed calendar with everything in front of you at once gives you a better idea of how to manage your time in a way that works for you and still leaves room for a social life. It’s also a good idea to keep a log of how you spend your time while working. Minutes turn into hours and they add up, so documenting how you spend your time will tell you how productive or distracted you are. It’s also vital to clean your workspace. If your desk has mountains of papers, office supplies, and other random junk, it’s time to turn it into a minimalistic space that will maximize your productivity. When a room at home is clean and organized, naturally, we feel better about it and feed off of that positive energy. The same will happen with a neat and tidy work area. Tackle one area of your desk or office at a time. This is important because if you do too much at once, you’ll feel overwhelmed and will likely want to abandon the cleanup altogether. Take your time with it and learn to enjoy the experience of decluttering your space so you can make it one you enjoy working in. Working nonstop for hours at a time will leave you feeling burned out before you’ve completed your work for the day. It’s never healthy to work without taking breaks in between as this will strain your body, stress your brain, and have you feeling tired by the end of the day. A well-known method for forcing yourself to take breaks and relieve stress is the Pomodoro technique, a time management system where you work and relax in intervals. Most commonly, you work for 25 minutes and then take a short break. After four Pomodoro work sessions, you increase your break time depending on how much work you have left. This technique has proven effective for tons of work professionals who have a difficult time staying on track of their tasks while balancing healthy breaks. It’s important that the time you spend away from your computer is spent doing something relaxing, such as eating a snack or walking the dog. The more calming, the better. This will leave you rejuvenated when it’s time to get back to the grind. Changing your mindset is a crucial step in handling stress. When you focus on the negatives, you trick your brain into believing there’s danger ahead, which adds to the horrible things you’re already feeling. It’s already scientifically proven that repetitive negative thoughts hinder the brain’s ability to function normally, which is why it’s essential to focus on the positives. This is, of course, easier said than done, but it is possible. A great way to start is by practicing gratitude every day. Keep a gratitude journal and start by writing one thing you’re grateful for every day. It could be as simple as sipping a tasty coffee or beautiful weather. What’s more stressful than an inbox with hundreds or thousands of unopened emails that have no rightful place? Not much. An overflowing inbox is sure to stress you out, especially when you already lack organization in other areas of your work life. Think of filing your inbox as an email marketing strategy; you need structure and planning to do it right. You need to make organizing your inbox a priority if you’re going to be up-to-date on the latest emails you receive. Set up your spam filter so you don’t continuously receive emails sent directly to your inbox that are useless. You can also block disposable email addresses if you’re using WordPress. It’s also important not to use your work email for personal use, including emails from friends and family or your favorite shops. Have a set schedule for checking your work emails. It’s counterproductive to check it every five minutes as this will distract you from your tasks. You may have a lot on your plate at work, but that doesn’t mean you have to carry the stress it causes on your shoulders. Your health is the top priority, and you don’t have to let stress rule your life and diminish its quality. How do you handle stress under work-related pressure?